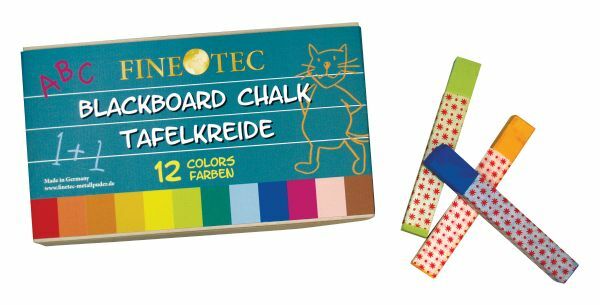 12 rectangular colored chalk sticks assist the teacher and lecturer in adding color to teachings on the blackboard. * The chalks are rich in pigmentation and almost dust-free. * Set includes 12 chalks in assorted colors. 6.3" x 3.7" x 0.8"